NEW! 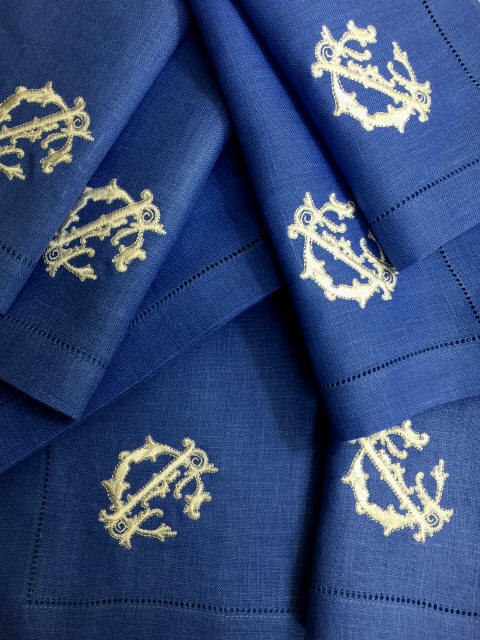 Our ever popular Francesca monogram now available on beautiful hemstitched table linens in over 101 colors. These make wonderful gifts and all arrive in a gift box with ribbon. Sold in sets of 4. Prices below include the monogram.